Image Source: Vattenfall. Photographers: Above left Robin Dawe/Perfectly Clear Marketing. Above right Paul Langrock. Based on standard nautical charts, and therefore with a familiar look and feel, Raster Charts XL are marine charts which have had all the land and other non-marine features removed. Meta-features such as scale bars, source data diagrams and title blocks have been removed meaning they no longer hide more useful information. Removing the land means Vattenfall can combine the WMTS with their own sources of land mapping data to give improved coverage in the coastal zone. Raster Charts XL have been developed by OceanWise in response to the increasing requirement for high level, relevant and more accurate marine mapping data. As modern businesses seek ways in which to work smarter, accessible intelligent data is essential for successful marine planning and monitoring. 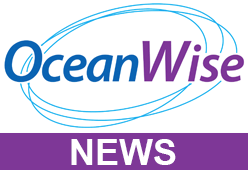 “We have incorporated the OceanWise Raster Charts XL service into our organisational WebGIS. This gives our developers, engineers and other project staff a good overview of many of the key marine features that are relevant for wind farm development. As we take the service to cover a large geographical extent we also use the service to gain a quick view on areas of potential market development growth in addition to our current portfolio” Anthony Hunt, Head of GIS, BA Wind, Vattenfall. Image: Raster Chart XL being used in Vattenfall’s WebGIS. Vattenfall, who see significant growth opportunities within wind power, continue to expand offshore wind in the North Sea, including the UK.